Bodybuilders, athletes, and people that lead active lifestyles need more nutrients than the average non-active persons. 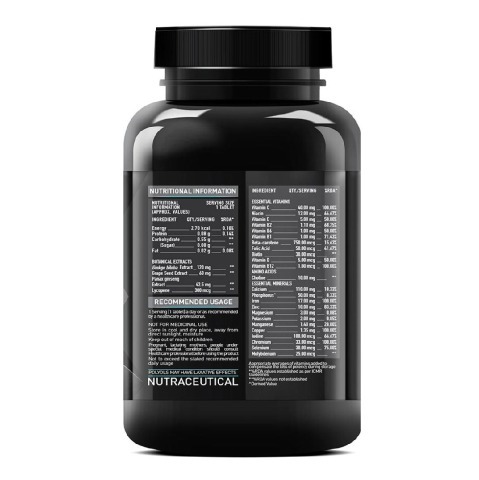 A premium quality multivitamin is the foundation of a great supplement strategy. MuscleBlaze MB-Vite contains a blend of 24 vitamins, minerals that fulfills micro-nutrient needs and improves body’s metabolism. Super antioxidants like Ginseng, Gingko Biloba, Lycopene and Grape Seed are helpful in reducing muscle fatigue, building immunity, stamina and strength. Ginseng extracts in MuscleBlaze MB-Vite help bodybuilders by allowing them to adapt to a higher level of stress and improve their rate of recovery. Gingko Biloba, Lycopene and Grape Seed extracts help protect muscles from free radicals and increase intensity of your workout sessions. 1. 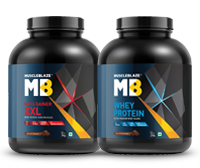 Why weight trainers and athletes need MuscleBlaze MB-Vite? Bodybuilders, athletes, and people that lead active lifestyles need more nutrients than the average non-active persons. 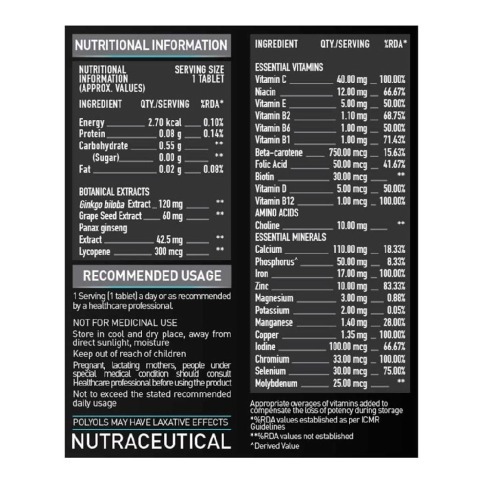 A premium quality multivitamin is the foundation of a great supplement strategy, as it improves the efficiency of other supplements. If you are in serious training, then you'll find support for faster recovery by taking your multivitamin as soon as you finish working out. 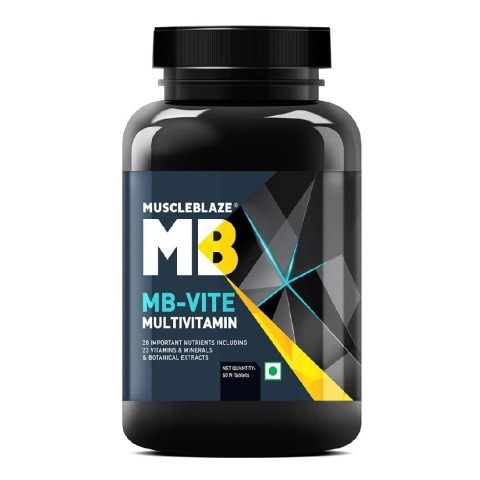 MuscleBlaze MB-Vite contains a blend of 24 vitamins, minerals and antioxidants that fulfills micro-nutrient needs and improves body’s metabolism. 2. 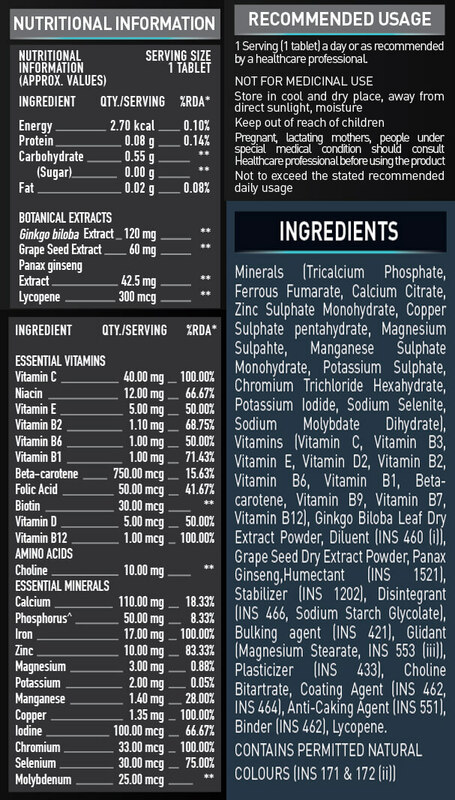 What are the vitamin and mineral needs for bodybuilders and gym enthusiasts? The eight B vitamins help the body convert food into fuel to produce energy and play a role in metabolising fats and proteins. 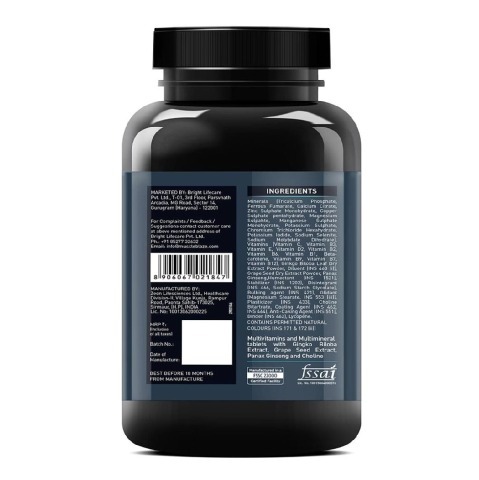 Vitamin C builds and supports immunity, required by bodybuilders. Vitamin E, Vitamin A and Vitamin C work as antioxidants and help scavenge free radicals, a byproduct of intense workouts. Calcium is needed for stronger bones and iron ensures a healthy level of haemoglobin in the body. 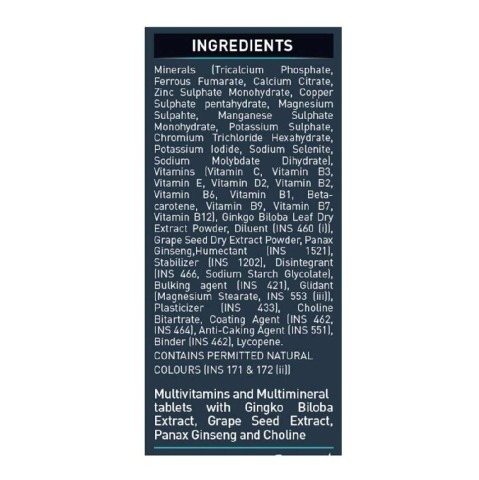 24 vitamins and minerals in MuscleBlaze MB-Vite fill in the micro-nutrient needs and help improve metabolism and build energy for intense training sessions. 3. 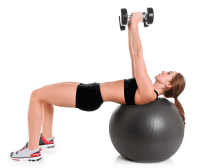 How antioxidant blend in MuscleBlaze MB-Vite helps fitness enthusiasts? MuscleBlaze MB-Vite contains a blend of super antioxidants like Ginseng, Gingko Biloba, Lycopene and Grape Seed. 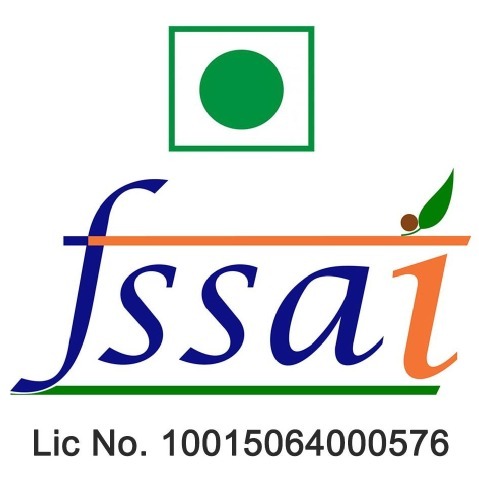 The antioxidants are helpful in reducing muscle fatigue, building immunity, stamina and strength. Ginseng helps bodybuilders by allowing them to adapt to a higher level of stress and improves their rate of recovery. Gingko Biloba, Lycopene and Grape Seed extracts help protect muscles from free radicals and increase intensity of your workout sessions. 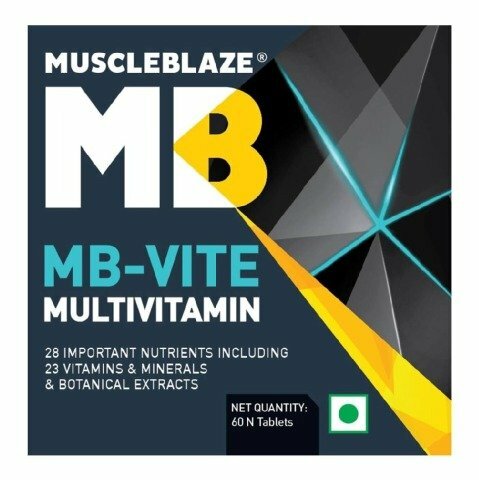 How should you take MuscleBlaze MB-Vite? You need to take a tablet of MuscleBlaze MB-Vite preferably with meals.